Start your 2018 taxes now! 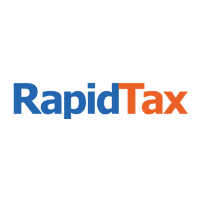 Get tax advice when you need it by phone, live chat or send us an email at no extra charge. We’re on the lookout to get you tax deductions or credits other tax preparers miss. A customer service agent can help you through live chat, we can answer the questions you have. Awesome! I used the free live help twice during my filing and both times the customer service rep was very knowledgeable and helpful...and timely! Easy to use and I felt safe on their site. I will use again for 2012. They sent me a reminder that the deadline was tomorrow for those who filed an extension - what a life saver that was. The IRS starts accepting e-filed tax returns on January 28. Employers are required to issue income statements, such as W2s and 1099s to employees. April 15, 2019 is the last day to file individual and state tax returns. You must file an extension for your 2018 tax return by this date too. October 15, 2019 is the e-file deadline along with the due date of tax returns filed with an extension. After this date, federal and state returns are considered prior year returns and must be signed and then mailed.